Here are the 25 airlines that fly to Myanmar (Burma) and their air routes. These airlines fly directly on regularly scheduled flights to the Burmese cities of Mandalay, Nay Pyi Taw and Yangon from Hong Kong and 12 countries: Bangladesh, Cambodia, China, Korea, India, Japan, Qatar, Malaysia, Singapore, Taiwan, Thailand, and Vietnam. Don't be fooled by airlines, flight booking sites and aggregators that promise "flights" between Penang and Mandalay, or Chennai and Yangon. When you see what should be a three-hour hop taking 10 hours, you'll eventually figure out Thai Airways "connects" in Bangkok for eight hours between Chennai and Yangon. Similarly, don't be fooled by the ads: A Bangkok Airways flight from Mandalay or Yangon must stop in Bangkok before flying to Samui. These directly flying airlines don't all fly daily to Myanmar. The routes with numerous daily flights are, in order, between Yangon-Bangkok; Yangon-Singapore; and Yangon-Kuala Lumpur. Remember: depending on the airline, flights from Myanmar to Bangkok can land at one of two Bangkok airports*. Thai AirAsia/AirAsiaGo, Thai Lion Air and Nok Air all use the old airport, Don Mueang (Airport code: DMK), which now is using two terminals; Terminal 1 is the international one. Newish budget carrier and Thai Airways' subsidiary Thai Smile (with perhaps the dumbest ground personnel ever) is using Suvarnabhumi for its flights between Bangkok and Mandalay but has switched several of its domestic flights to Don Mueang. Bangkok Airways, Myanmar Airways International (MAI), state carrier Myanmar National Airlines (MNA), and Thai Airways always use newer Suvarnabhumi Airport (airport code: BKK). Budget carrier Golden Myanmar Airways has used Suvarnabhumi in the past, so I'm guessing that if it starts direct flights between Yangon and Bangkok again, it will do so as well. Despite chatter, as of 2018 it's sticking to domestic routes. Regarding daily flights, there is at least one daily flight, at different times, between the Chinese cities of Guangzhou and Kunming, Yunnan, by either MAI or China Southern Airlines. There is at least one daily flight between Seoul and Yangon as well. For the other cities listed below, you need to plan ahead. I didn't list Germany's Condor Airlines because it only flies during the tourist season (probably December and January); I'm not sure if it flies from Frankfurt to Mandalay, to Yangon or to both Burmese cities. That sounds like a charter airline. Golden Myanmar, which has tons of domestic routes, a few years ago was expected to launch regular charter flights between Mandalay and Imphal, India, but has yet to do so. Why aren't there more direct flights between India and Myanmar? many wonder. Air India's newish direct flights between Kolkata and Yangon, Mumbai – Yangon, Delhi – Yangon, and Hyderabad – Yangon each only operates three times a week. Even on those days, there's only one flight a day in each direction. And the Indian cities of Imphal and Gaya aren't convenient for most travelers. Answer: don't overlook Biman Bangladesh flights that depart from India, then stop briefly in Dhaka before flying on to Yangon. Of course, flights from Myanmar also stop in Dhaka on the way to destinations in India. Is Your Flight To/From Myanmar On Time? On FlightStats, punch in the arrival airport's code in "airports" slot on the right to find out whether an expected flight is expected on time. For Yangon, that's RGN; Mandalay is MDL; and Nay Pyi Taw, aka Naypyidaw, is NYT. Note that you can also see the reputation for timeliness of individual airlines. MAI has a very good track record! AirAsia isn't bad. As for Air India ... eh. Only Myanmar's Air KBZ and MAI and Thailand's Bangkok Airways fly the Yangon-Chiang Mai route. Air Bagan (now defunct) and Golden Myanmar have flown the route in the past. Note that, like Golden Myanmar, Air KBZ does fly between Tachilek in Shan state and Yangon; if you're in northern Thailand, particularly near Mae Sai, and already have a Burmese visa, Tachilek is pretty close. Four of the 23 airlines are Burmese: Air KBZ (owned by tycoon Aung Ko Win's Kanbawza Bank); Myanmar Airways International aka MAI (mostly owned by Kanbawza Bank); Myanmar National Airlines (MNA) (which claims the heritage of the original state airline), and the five-year-old budget airline, Golden Myanmar Airlines. Recently shut down, btw: Air Bagan (owned by tycoon Tay Za), and mostly charter domestic airlines APEX Airlines and FMI Air. As you will see if you follow the links to the five, you can book international flights and pay for them online. You should now be able to pay online for all flights of the strictly domestic airlines too. 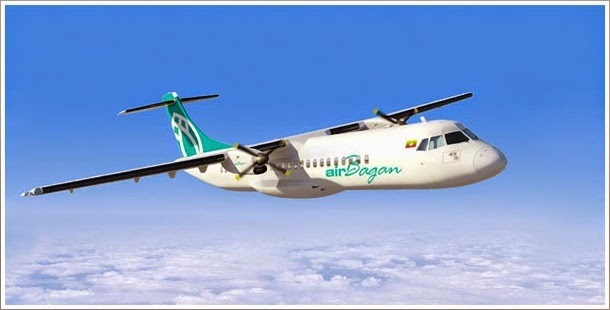 Air Bagan is the airline that had a fatal crash landing near Heho (close to Inle Lake) in December 2012, by the way. Other budget airlines flying to Myanmar are AirAsia and Thai AirAsia (Malaysia owned), Thai Lion Air (mostly Indonesia owned, very new on Myanmar routes: prepare for hours in line), Jetstar Asia (Australian/Singapore owned) and Scoot (Singapore owned, name retained after merger with Tigerair in 2017). Yangon - Kuala Lumpur: AirAsia, Malaysia Airlines, MAI, Scoot** **Budget airlines Tigerair and Scoot merged in July 2017; new name is Scoot. 🔼 Tigerair and Scoot merged; now known as Scoot, uses old "TR" airline code. Shop around with the budget and mid-range/premium budget airlines and you might cut a fare in half. For example, the base one-way fare on budget airline AirAsia aka Thai AirAsia, between Bangkok and Yangon currently is a bit over 2,000 baht (less than $70). Nok Air and Bangkok Airways are in the 4,000 baht-5,000 baht range. At the top end, Thai Airways charges 6,750 baht but has three daily flights in each direction. Of course, unlike with AirAsia, you can usually change the date of your flight after booking with the more expensive airlines and also have a greater luggage allowance--no small advantage for those that have flown AirAsia recently. On flight search engines like Wego and Skyscanner you'll see several other more expensive flights on Cathay Pacific, Japan Airlines, Korea's Asiana and so on. Ignore them: they don't fly directly between Bangkok and Yangon. For example, the China Airlines flight goes from Bangkok to Beijing to Yangon. Even with airlines that do fly directly to Myanmar, be aware that they might not fly on the day you choose, so Skyscanner might still churn out a convoluted indirect flight. Also ignore booking or fare compare websites promising the "cheapest flights" to Myanmar on US or European airlines. None of them fly directly to Myanmar, except Germany's seasonal Condor Airlines mentioned above. Most likely, trans-continental travelers will need to fly to Bangkok, Singapore or KL first; they therefore must first find the best way to reach those cities from their home countries. I see that regional airlines like Bangkok Airways use the "direct flights" trick too (Even on the airline's website, you might wrongly conclude that it now has direct Chiang Mai-Yangon flights.). There are many flights between Singapore and Yangon, mostly by Myanmar Airlines (MAI) or Myanmar National Airlines (MNA). A lot of Burmese live in Singapore. MNA was founded shortly before independence as Union of Burma Airways and was the government-owned flag carrier for most of its history. It has code-sharing agreements with Korea's Asiana, Malaysian Airlines, Jetstar Asia, Korean Air (KAL) and Thai Airways. 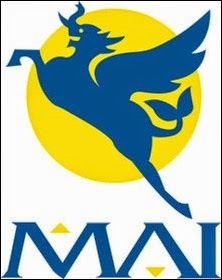 On the Yangon-Bangkok and vice-versa route, MAI and Air KBZ code share. I also suspect that MAI flight to the Buddhist pilgrimage site of Gaya, India, is a code-share with Air India; still checking. What does code-share mean? Well, if you're expecting the space and perks of a Thai Airways or KAL flights, you might be disappointed; on the other hand, you might end up with more space and amenities than the usual budget Jetstar Asia planes. If you look at scheduled flights to or from Yangon, you may see that MAI and Jetstar Asia, for example, depart the same day at exactly at the same time; of course, there is only one flight. You can't be sure of getting full-service airlines perks for budget Jetstar prices; I'm told on good authority that the MAI fare is sometimes cheaper.